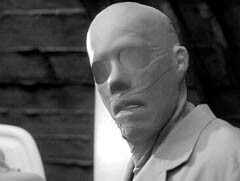 Hollow Man, an English movie, is not currently screening in Hyderabad. "We are the hollow men, we are the stuffed men," wrote T S Eliot in a scathing critique of the 20th century. Never would his words ring as true as now, when the proliferating progress of science helps man play God. How hollow this power is when an amoral genius manipulates it! This Frankenstein dilemma is what Verhoven analyses in "Hollow Man". fullhyd.com has 700,000+ monthly visits. Tell Hyderabad what you feel about Hollow Man, and then also see all user reviews for Hollow Man!